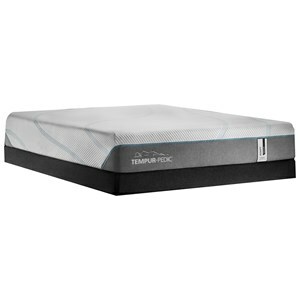 The Lux Estate L3 King Plush Latex Mattress and Reflexion 7 Adjustable Base by Stearns & Foster at Thornton Furniture in the Bowling Green, Alvaton, Glasgow, Scottsville, Franklin area. Product availability may vary. Contact us for the most current availability on this product. The Stearns & Foster collection of The Lux Estate Latex Collection, introduces a new feel with its body cradling comfort of latex. These all foam beds are made with the finest materials available, built for lasting comfort.. Each bed is hand tufted providing substantial comfort and longevity. Special built in cooling features let you enjoy the benefits of latex with out all the heat. With the best Latex to ensure a soft feel yet responsive support and the Silk/Cashmere infused covers, you'll be sleeping in luxury. The Lux Estate L3 collection is a great option if you are looking for Mattresses in the Bowling Green, Alvaton, Glasgow, Scottsville, Franklin area. Browse other items in the Lux Estate L3 collection from Thornton Furniture in the Bowling Green, Alvaton, Glasgow, Scottsville, Franklin area.